The former Minister of Public Health and Population between 1999-2001 and the former president of the Haitian Red Cross in Haiti, Dr. Michaëlle Amédée Gédéon died hours after a vehicle hit her car. She was returning from the Grand'Anse Department. Dr. Michaëlle Amédée Gédéon was rushed to a hospital in Les Cayes, but she was not able to receive proper emergency care. She was then transported to Bernard Mevs Hospital where she actually passed away. Isn't It Ironic to see that someone who has worked all her life protecting the life of others ended up dead due to a lack of care. Dr. Michaelle Amédée Gédéon, the former President of the Haitian Red Cross (2001-2013) and former Minister of Health passed away on Wednesday, August 22, 2018 at Bernard Mevs Hospital. On the previous day, she met a tragic road accident. A speeding vehicle hit her car on Tuesday (August 21) around 1 pm in Camp-Perrin when she was returning from the Grand' Anse department. The driver of the other vehicle died on the spot. As per primary report, her injury was not very fatal. She had ruptures in liver, spleen and colon, which were bleeding profusely and that resulted significant blood pressure drop. What she needed was an immediate emergency operation. Unfortunately, there was no adequate medical facility available in Les Cayes. Her family could not find a hospital in the entire South from Aquinas to Miragoane, from Leogane to Carrefour, via Gressier which could provide her the necessary medical support that she immediately needed. It took over 9 hours to bring her to Bernard Mevs by road ambulance. This tragic death of Dr. Gideon warns us how we all (bourgeois, riches, ministers, former officials of the state, and ordinary common men) are housed in a single boat. We are all susceptible to a non-existent health system, pitiable infrastructure and a no-welfare state. A few days ago, Dr. Gédéon, CEO of the PNH, promised in the Haitian Senate that her institution would take strict measures and provisions to ensure road safety and reduce the risk of accidents on national roads and highways. Dr. Michaelle Amédée Gédéon held the office of Minister of Health under the presidency of René Préval/ Alexis government, from March 24, 1999 to March 2, 2001. In 2015, she received the honour of "Doctor Honoris Causa" from the Royal University of Haiti. She was graduated from the Faculty of Medicine and Pharmacy (1969-1975), had a Masters in Public Health from Harvard University in the United States of America (1982 -1983). Dr. Gédéon was President of the Red Cross for 12 years; she was the second woman to hold this position after Marie-José Innocent. 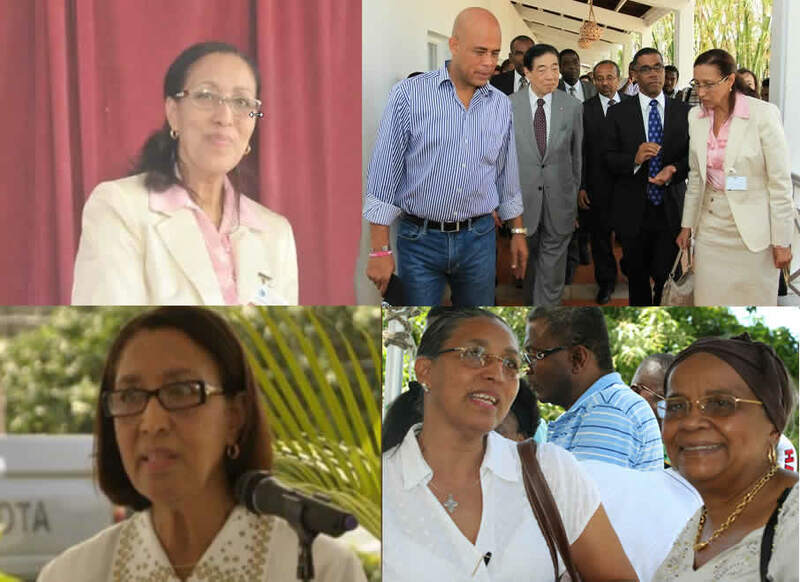 A Consultant in Public Health and Nutrition, she was the first woman in Haitian political history to occupy the ministerial chair in the Ministry of Public Health. Mrs. Gédéon is credited with a brilliant career in public administration and in the private and non-governmental sectors. Michaelle Gédéon was the Dean of the Faculty of Health Sciences (April 2014 to June 2017), President of the Haitian Red Cross (May 2001 to November 2003), Director General of the MSPP (September 1997 to March 1999) , Consultant at USAID (April 1986 to September 1997), Director of the Nutrition Section of the Ministry of Planning (September 1983 to April 1986).